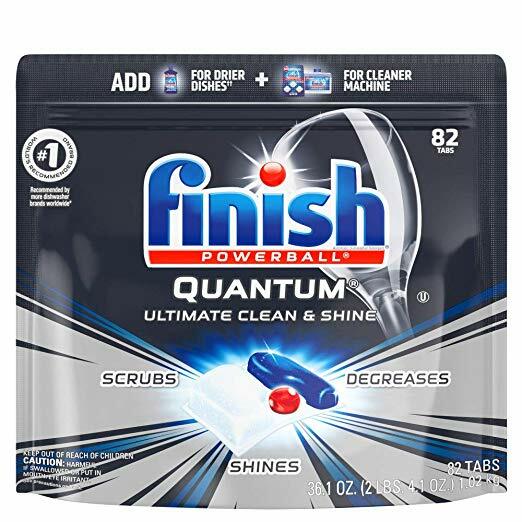 HomeAmazon DealsFinish – Quantum – 82ct – Dishwasher Detergent – Powerball – Ultimate Clean & Shine – Dishwashing Tablets Only $10.54 SHIPPED! Grab dish soap right from home. Score Finish – Quantum – 82ct – Dishwasher Detergent – Powerball – Ultimate Clean & Shine – Dishwashing Tablets Only $10.54 SHIPPED!